Pull together a team of four, escape the office, spend a day on the green & tee off for a great cause! 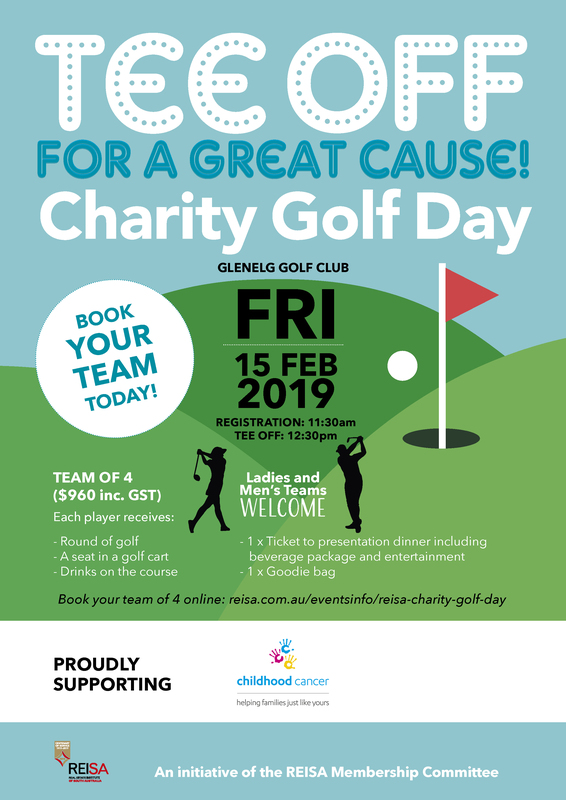 This golf day, organised by REISA, is open to all members of the community, so come and have a hit at Glelnelg Golf Club to support Childhood Cancer. Welcoming both female & male teams to the course, it's going to be a HOLE lot of fun. We hope to Tee you there! Pricing: Team of four $960 (inc. GST) - which includes: a round of golf; a seat in a golf cart; drinks on the course; 1 x ticket to the presentation dinner & drinks package; and 1 x goodie bag.